Every year we work to bring poetry, in its every aspect, to our audiences, and fill a whole week with poetry events that feature America’s most extraordinary poets–at the festival. As we celebrate 15 years of presenting these extraordinary poets, an archive of amazing events and featured poets has been built. No matter what is happening in the world, as readers and writers of poetry, we are all engaged in a poetry conversation. We know that poetry can take chaos and make it understandable; can deepen our sense of empathy and humanity, and infuse life with beauty and meaning, on the page and in the world. The impact lasts for more than one week of the year. Many say attending the festival is life-changing. Please help us to continue to foster great writing, great poetry, and poetry events. 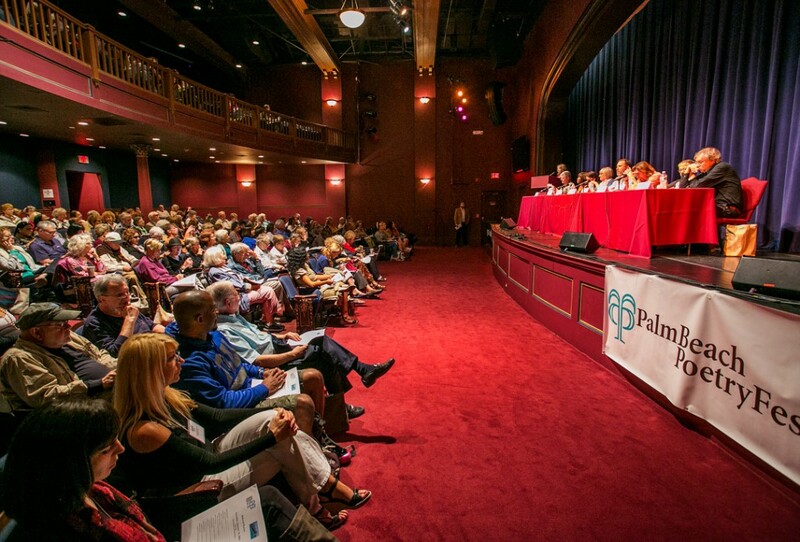 Make a donation to the Festival, online at www.palmbeachpoetryfestival.org/give-now, or mail your check to Palm Beach Poetry Festival, 3199-B-3, Lake Worth Road, Lake Worth, FL 33461. Donate today.